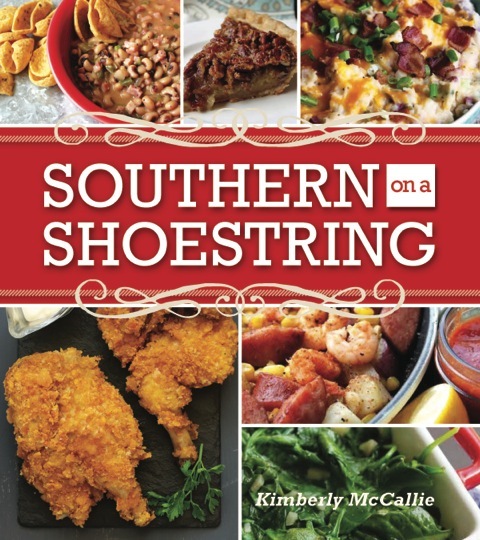 Kim from A Well-Seasoned Life has come out with her very first cookbook, Southern on a Shoestring. Kim says " With this cookbook, I hope to show readers that the spirit of Southern cooking can be captured regardless of location and without financial sacrifice. For me, the spirit of Southern cooking is defined in two ways: by the ingredients, and by the attitude in which the ingredients are used." I could not agree more! As I thumbed through Southern on a Shoestring, I earmarked several recipes to try. All the recipes are simple, easy, and are very similar to the way I cook for my family. But the one that caught my attention the most was the very LAST recipe in the cookbook. I knew right away that the Key Lime Pie Eclair was the one to make. This is one of the easiest no bake recipes you could make. The hardest part is just waiting for it to chill in the fridge. 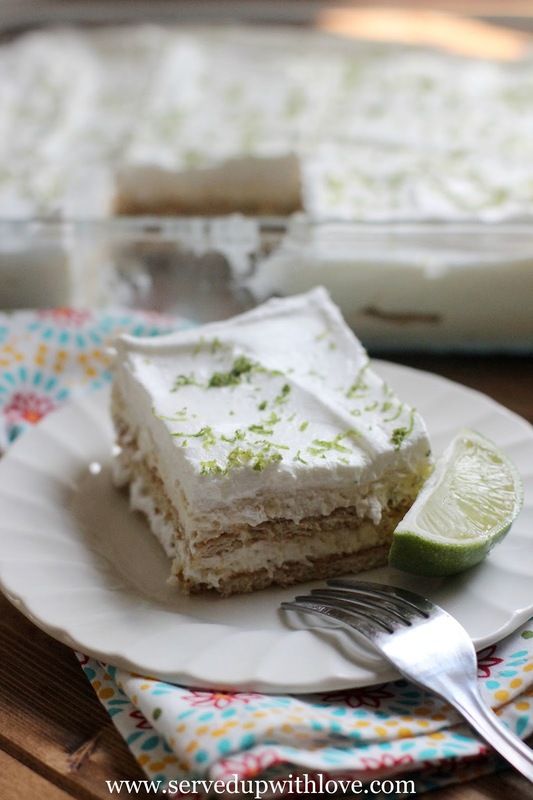 As it sits in the fridge, those key lime pie flavors meld together and create a flavor explosion. 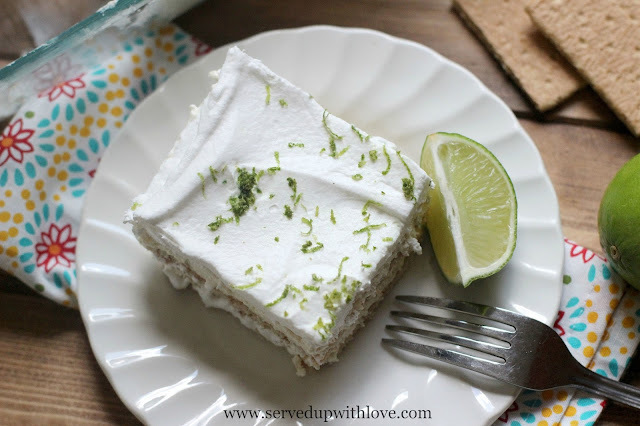 It's like a party in your mouth! Boy, did she save the best for last!! 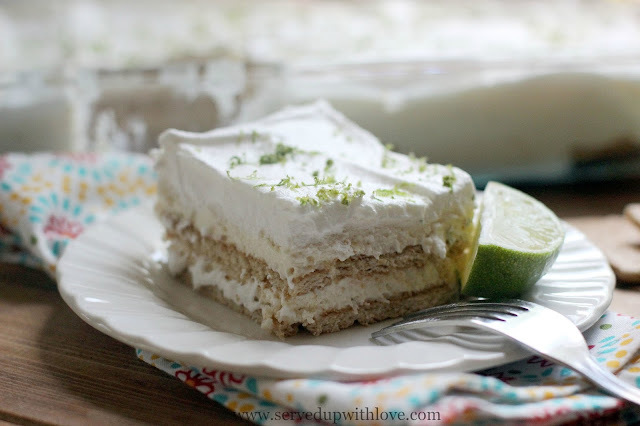 It was an instant hit with the family and I am already thinking about when to make it again. 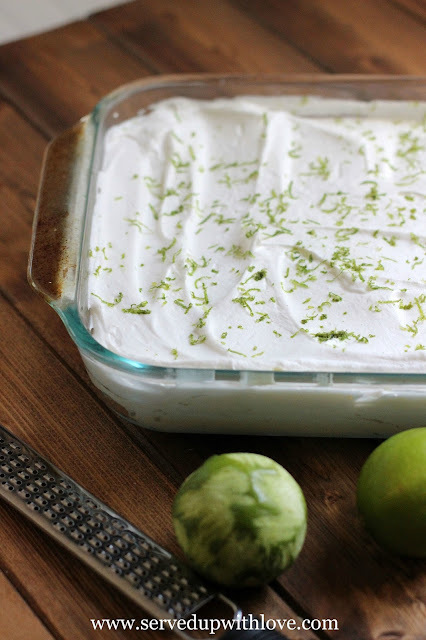 Take this along to any of those potlucks or cookouts this summer and watch it disappear. You might want to carry a copy of the recipe with you though, I guarantee someone will be asking for it before the day is done. Many thanks to Kim of A Well-Seasoned Life for the opportunity to review Southern on a Shoestring. It is one that I am proud to have in my cookbook collection. Click here ---> Southern on a Shoestring, to purchase your very own copy. 9 x 13 casserole dish is what I used. I must try this! It sounds so good! This one is so good I am still thinking about it. Can't wait to whip up another one. Maybe for Labor Day!! I used a 9 x 13 casserole dish for this. Thank you for that question and answer!